Hyatt Regency Dubai Creek Heights invites guests to relax in the sublime comfort and elegant surroundings of 463 well-appointed guestrooms, including 75 suites. 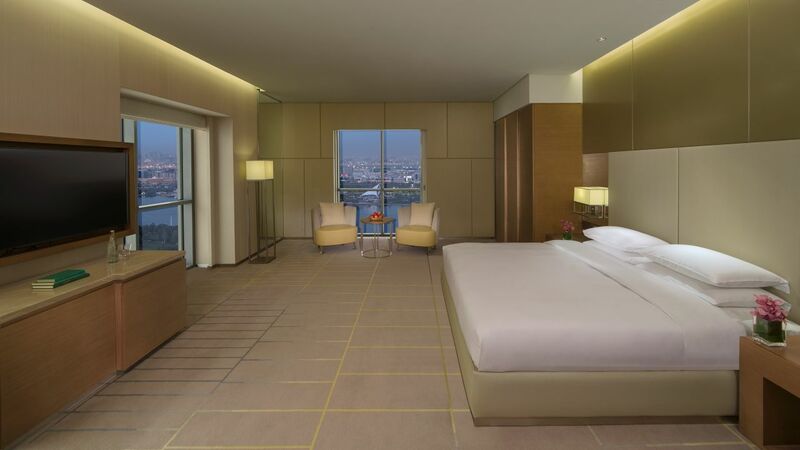 All our guest rooms offer panoramic views overlooking the historic Dubai Creek or stunning city skyline and range in size from 38 to 702 square metres. 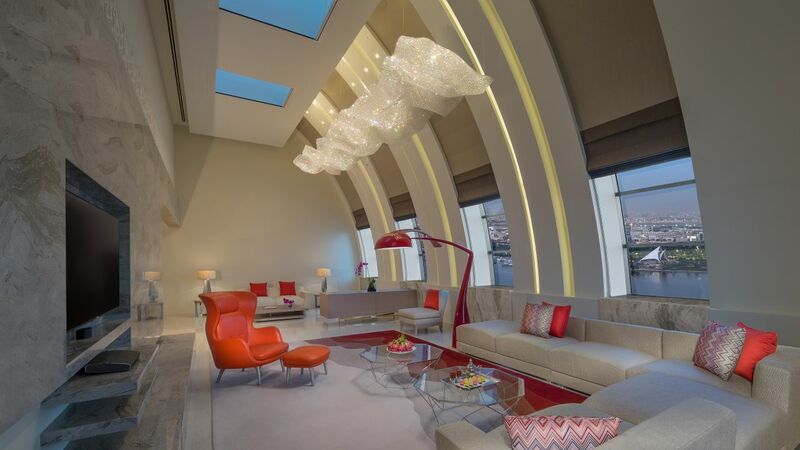 The hotel offers a signature Royal Suite encompassing the entire top floor. 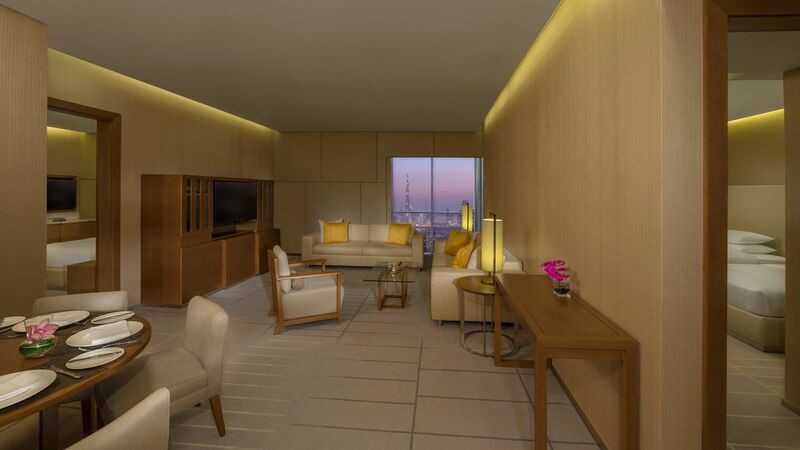 Guests looking for a very high level of personalized service and an array of additional amenities will enjoy Hyatt's 'hotel within a hotel' concept of the Regency Club. 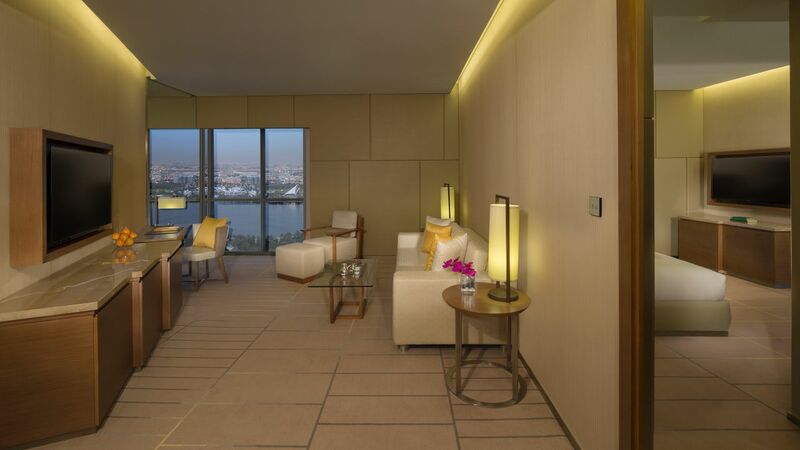 Set on the 32nd floor, the Regency Club offers an exclusive space for guests to gather and relax. 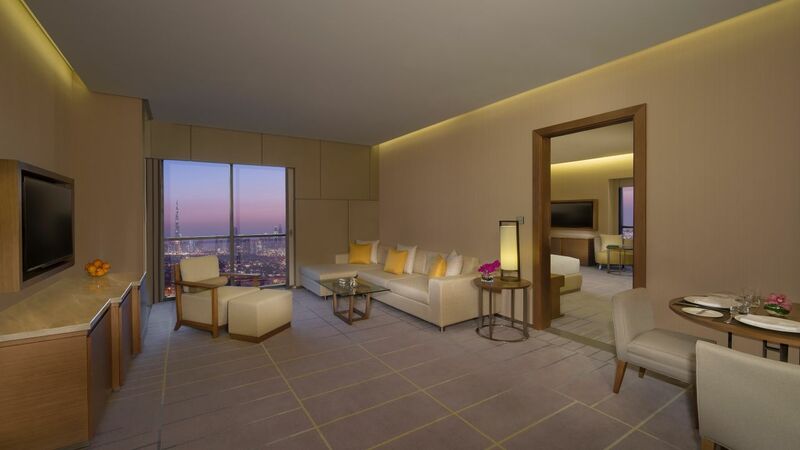 Enjoy Dubai with a large 743-872-sq ft. (69-81-sq m) suite with a separate living area. This is a standard suite with club access. See World of Hyatt program terms for upgrade eligibility. Be at ease in this 88-square-metre suite offering a spectacularly spacious bedroom and wonderful views. This is a standard suite with club access. See World of Hyatt program terms for upgrade eligibility. Book this 113-150-square-metre suite with two bedrooms and a dining area. This is a premium suite. See World of Hyatt program terms for upgrade eligibility. Stay in this 165-193-square-metre suite with three bedrooms and a dining area. This is a premium suite. See World of Hyatt program terms for upgrade eligibility. Make yourself comfortable at this stunning 702-square-metre space offering three-bedrooms, kitchen, separate living and dining area with privileges of Regency Club Lounge. Make the most of being away in this 38-40-square-metre guestroom complete with a king bed, a well-equipped work desk and a modern bathroom. Enjoy stunning views of Dubai in this 38-40-square-metre guestroom complete with two twin beds, a well-equipped work desk and a modern bathroom. Absorb the stunning city views from this spacious 51-62-square-metre guestroom with two twin beds, a well-equipped work desk and a modern bathroom. 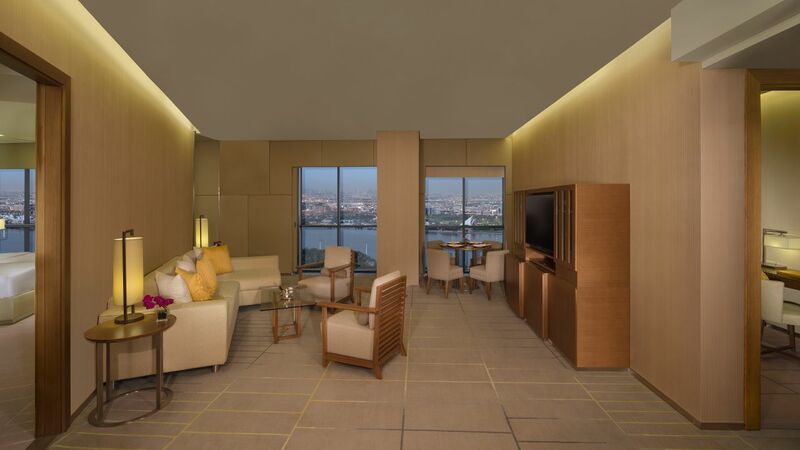 With picturesque views of the Dubai Creek or the city skyline, this 69-square-metre guestroom offers ample space with a separate living area for guests. Take advantage of Regency Club access in this 38-40-square-metre guestroom complete with a king bed, a well-equipped work desk, and a modern bathroom. 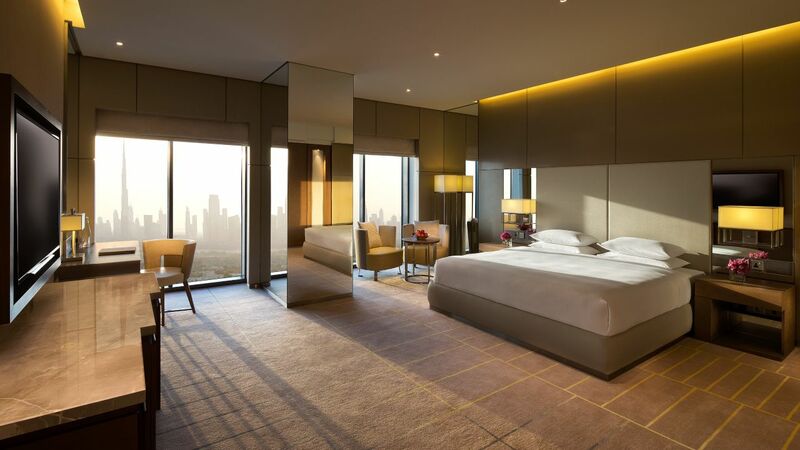 Enjoy stunning views of Dubai in this 38-40-square-metre guestroom featuring Regency Club access complete with two twin beds, a well-equipped work desk and a modern bathroom. Take advantage of Regency Club access in this 51-62-square-metre guestroom complete with a king bed, well-equipped work desk and a modern bathroom. Enjoy the perks of Regency Club access in this 51-62-square-metre guestroom complete with two twin beds, a well-equipped work desk, and a modern bathroom. 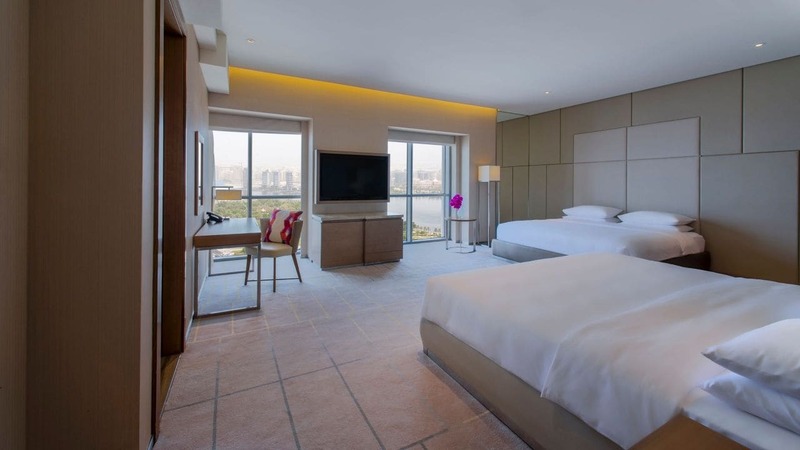 Look out over Dubai Creek in this spacious 62-square-metre guestroom with two Hyatt Grand king beds, a modern bathroom, a comfortable seating area and a work desk.